Conquest was designed to be a diceless wargame. Its latest version updates the original with plastic units and a colorful map. 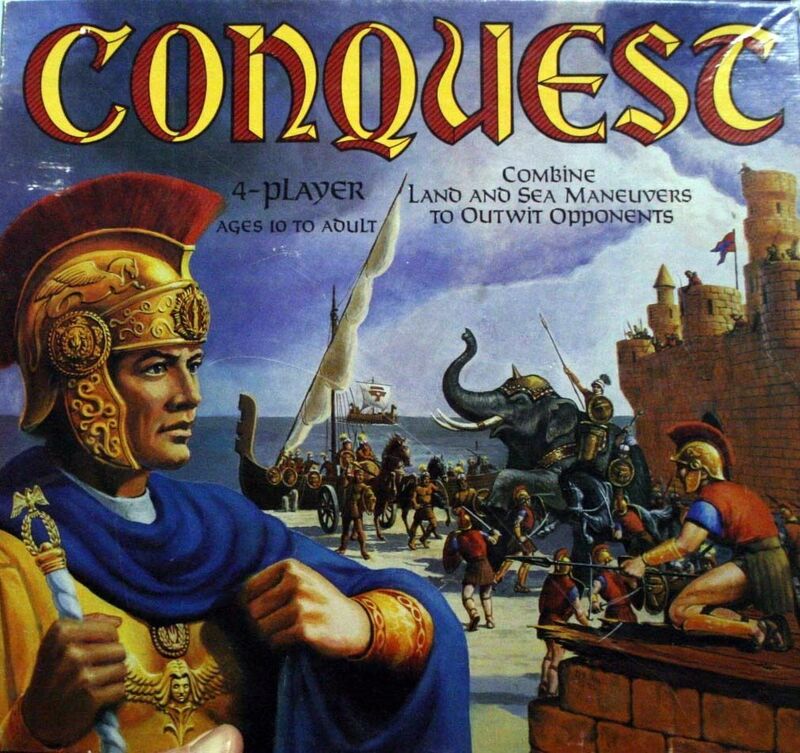 Set in ancient times, Conquest has players utilizing troops, cavalry, chariots, elephants and ships to try to capture their opponents' fortifications or occupy the "quest" locations. The map is designed for point-to-point movement, and play hinges on a pool of action points that each side uses to move its different units. Conquest comes in two versions, one designed for four players and one designed exclusively for two.